Maps for Historians: the WWW VL History Project. The British Library Map Collections. Atlas historique périodique de l'Europe. "UN ATLAS DÉCRIVANT, EN 21 CARTES, LES ÉTATS DE CE CONTINENT À LA FIN DE CHAQUE SIÉCLE de l'an 1 à l'an 2000 conçu et dessiné par Christos Nüssli. The Fascinating World of Maps and Mapping, Faculty of Geographical Sciences, Utrecht University, The Netherlands. Historic Cities. "This site contains maps, literature, documents, books and other relevant material concerning the past, present and future of historic cities and facilitates the location of similar content on the web... [and] is a joint project of the Historic Cities Center of the Department of Geography, the Hebrew University of Jerusalem and the Jewish National and University Library. " For Italy check: Historic Cities - Italy. Virgilio: La mappa interattiva italiana. Dal pi� piccolo paesino alla capitale: tutte le strade principali e i punti di accesso alle localit� italiane. Periodical historical Atlas: Historical maps of Europe from 1 AD to 1600 AD . "Having a look at the american mirror site will allow you to see the main roman battle maps. These maps are showing the political status of Europe as an instant description at the beginning of each century.... If your web-connection is fast, you may choose to view the full-size maps. If no, you can click on the parts of the maps you want to enlarge." An Online Encyclopedia of Roman Emperors: The DIR and ORB Ancient and Medieval Atlas, by Christos N�ssli. Southern Italy and Sicily in Willem Barentsz's Beschrijvinghe ende Caertboeck van de Midlandtsche Zee, Amsterdam, 1595. "His "New description and chartbook of the Mediterranean" is one of the eldest examples of Dutch atlas related to the navigation in the Mediterranean. The pictures were obtained from the original at the Algemene Rijksarchief (ARA., section VEL F) in The Hague (The Netherlands)." This document is part of I�aki Lopez Martin Collection of Historical Maps at the University of Kansas. Central Italy, with the adjacent countries, from the Peutingerian Tables constructed about 393 A.D. Classical Atlas by Alexander G. Findlay. New York: Harper and Brothers 1849. (580K) (The Perry-Casta�eda Library Map Collection - The University of Texas at Austin). The History of Cartography Project, Department of Geography, University of Wisconsin , Madison, WI 53706-1491, USA. Tabula Peutingeriana: Rome, by Abraham Ortelius, 12th century. Index of Renaissance Maps : Slides/Photo CDs Illustrating Maps from the Renaissance Period 1500 - 1700. 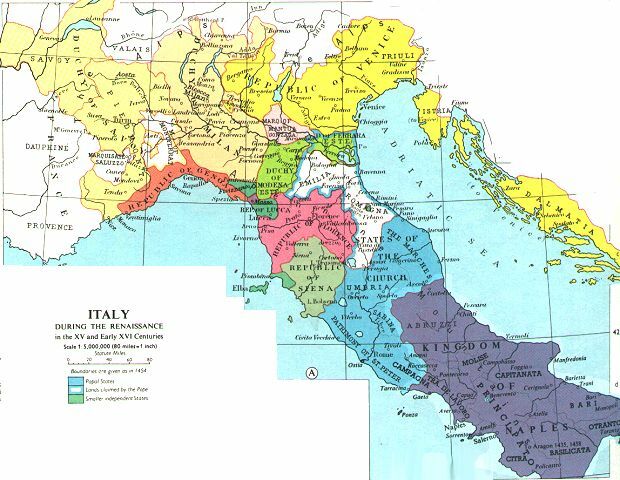 (Several Italian Cartographers). Austrian Atlas of Historic Towns on the Internet. (For Italian towns before the Risorgimento and WW I.) "The Atlas of Austrian Towns is part of the Atlas of European Towns. Its basic program was adopted in 1968 by the Commission internationale pour l'Histoire des villes in Oxford. The first national atlas following these directions was the Atlas of German Towns (published since 1973), the second is the Austrian atlas. The Atlas of European Towns describes the development of towns with a short summary of the town's history (commentary) and a set of historic topographic maps. (Information is accessible on the website of the Vienna City Archives. 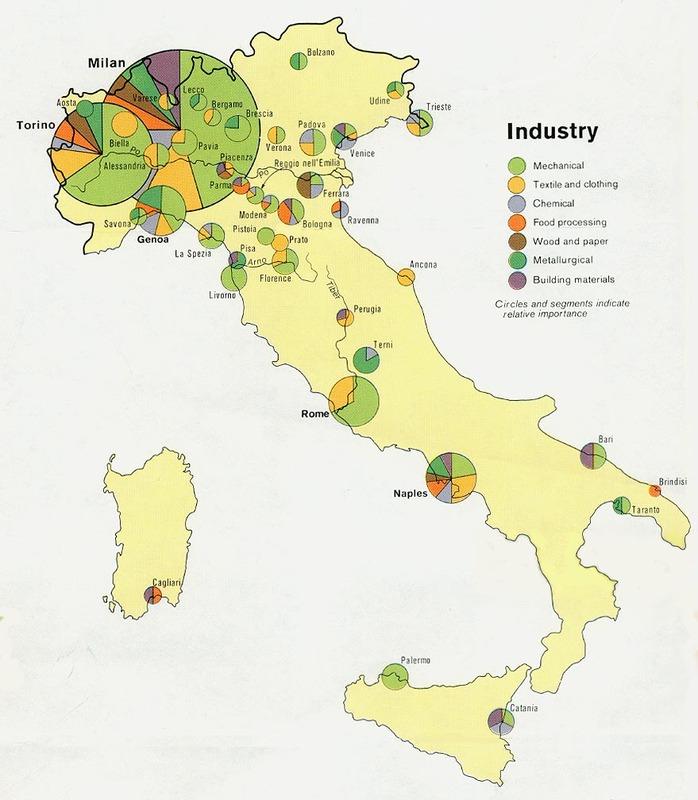 Italia Online - Arianna: Mappe dell'Italia, regioni e citt� - Map of Italian Regions and Cities. "Trova una Mappa a partire dall'indirizzo". Yahoo: Scienze umane e sociali > Geografia > Cartografia > Mappe > Italia. Virgilio Mappe. "La mappa interattiva italiana: Dal pi� piccolo paesino alla capitale: tutte le strade principali e i punti di accesso alle localit� italiane." IEG-MAPS - Server for digital historical maps at the Institute of European History, Mainz. "We offer - free of charge - high quality digital maps at your fingertips"
Istituto Geografico Militare. (Via C. Battisti 10 - 50100 Firenze Tel: +39-055-27321 - Fax: +39-055-282172). Catalogo delle carte geografiche, topografiche, etnografiche, etc. relative al Corno d'Africa, Eritrea, Etiopia (Abissinia), Somalia, 1784- 2000, conservate nella Biblioteca-Archivio �Africana� della Biblioteca di Fusignano, (Via Teatro, 19 � 48010 FUSIGNANO ( Ravenna), Tel. 0545-53097). The URL of this page is [ maps.html ]. Last updated the 16 January, 2007 .